CONTENT WARNING: The following article discusses suicide. 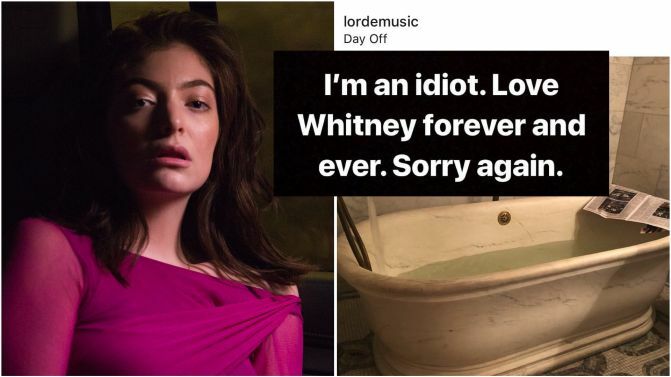 Lorde, in the middle of the American leg of her Melodrama World Tour, has taken a relaxing bath and logged back on to an internet storm after an unintentionally insensitive Instagram post. 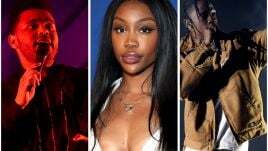 The singer-songwriter took a picture of her bath with the caption ‘iiii will always love you’ in the now-deleted Insta post, blissfully unaware of the possible issues caused by posting lyrics from Whitney Houston‘s famous cover of ‘I Will Always Love You’ alongside a photo of a bath. Of course, the caption has proven to be a little problematic, because Houston was found unconscious in a bathtub in 2012 and was pronounced dead shortly after. 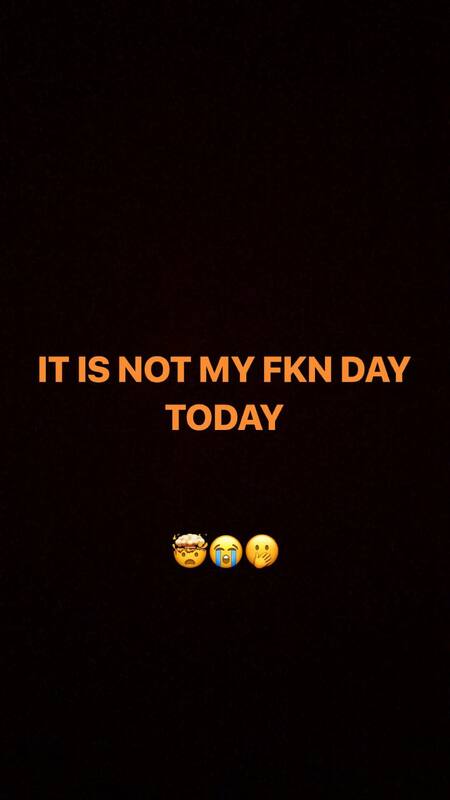 Fans were quick to point out the flaw in the singer’s post, and she acted promptly to delete it and apologise via her Instagram story. 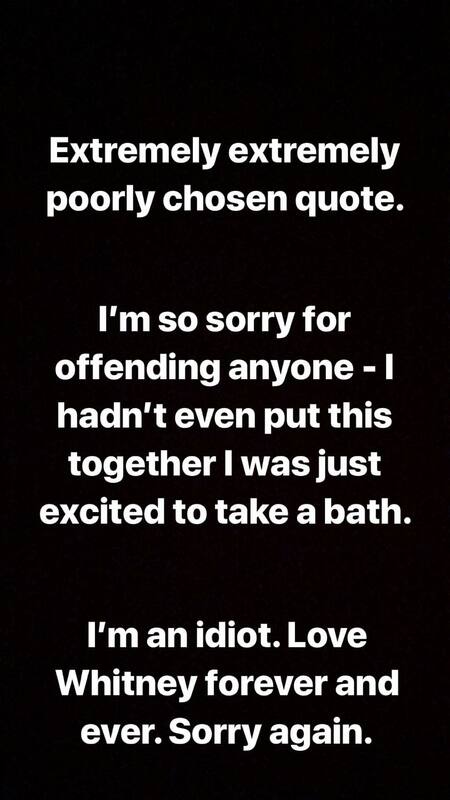 Check out her posts below.